There is no better way to celebrate Mardi Gras than with some fried catfish and seafood gumbo. There are countless New Orleans-inspired restaurants in Los Angeles to indulge your Cajun cravings. People tend to use the terms Cajun and Creole interchangeably. Although some dishes overlap, there are distinct differences. Cajun food comes from the Acadians who settled around the swamps of southern Louisiana. We’re talking gator, crawfish boils, and deep-fried seafood. Creole food is a result of classic French and Spanish dishes interpreted using African cooking traditions. This is where you get your rich sauces and etouffes. As for blackening, well, that was all Chef Paul Prudholmme’s doing. Besides the standard Cajun and Creole restaurants, there is also a host of “Boiling Crab” type places that I can’t really recommend. If you can get live shrimp and crawfish in season, and want to hang out drinking beer with a bunch of friends and make a mess, they can be fun. Otherwise give them a miss and check these places out. There is nothing better on a warm Los Angeles afternoon than sitting in the shade at The Farmers Market with a big tray of food from the Gumbo Pot. Opened in 1986, the stand is now owned by a long-time employee. The seafood gumbo is smoky and intense, with the darkest roux in town. Their fried catfish is a thing of beauty. We recommend the blackened catfish po’boy with paper-thin slices of lemon tucked into the bread. Order a side salad with candied walnuts, tart green apple and a buttermilk dressing that will make you swoon. And as much as it pains me to admit it, their red beans and rice are even better than mine. If Los Angeles had a Galatoire’s, it would have to be Harold and Belle’s. From the moment you surrender your keys to the valet, you are catered to by the charming and pleasant staff who are dressed in spotless white aprons. The restaurant is still run with pride by the third generation of the Legaux family. The decor is reminiscent of New Orleans’ better restaurants, with warm wood, brass fixtures, etched glass and starched white tablecloths. This is the place to indulge your creole craving with Crawfish Etouffe and Fish Suzette. 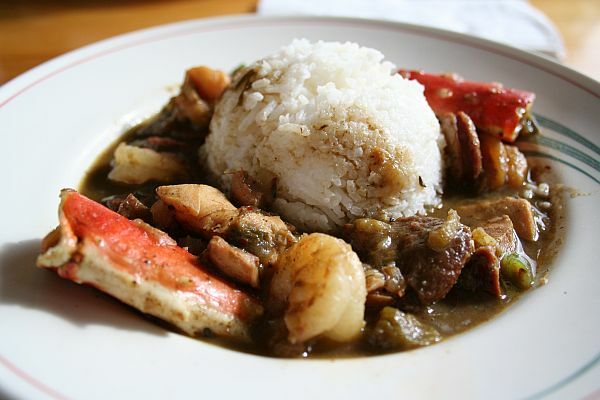 They are famous for their file gumbo and okra gumbo, as well as clam chowder. 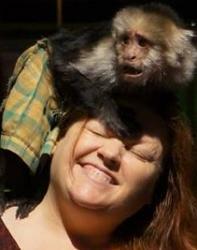 You can still feed your jones for red beans and rice, jambalaya and fried seafood. The fried catfish is cut into generous fingers, unlike the thin filets so common at Cajun restaurants. They are currently under renovation to give the place more of a “Bourbon Street” style, but they promise to keep the traditional style we have come to love. Marcus Christiana-Beniger and Eunah Kang opened a little market and restaurant in Chinatown this year called The Little Jewel of New Orleans, and it was a game-changer. You order at the store’s cashier and pick up your food at a deli counter in the back, just like in the Crescent City. A large, colorful blackboard displays the menu, which offers a variety of po’boys and muffalettas, as well as daily specials like duck and andouille gumbo served over jambalaya (“Gumbolaya”). 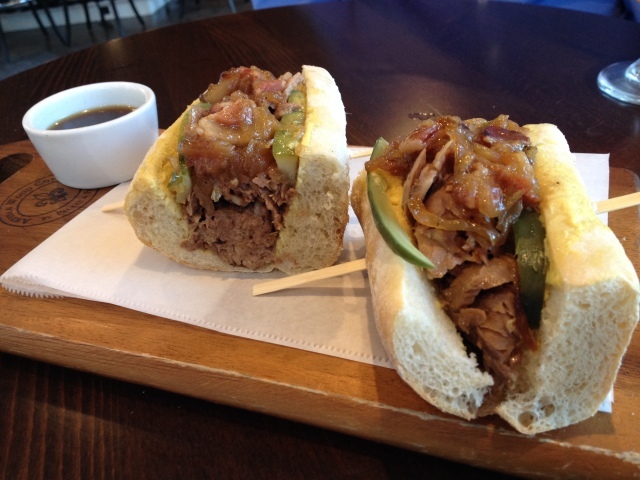 The real draw for us is the Irish Channel roast beef po’boy composed almost entirely of debris and served on Leidenheimer bread from New Orleans. When you cook a roast, there are bits of meat left in the bottom of the pan with the drippings. That is debris. 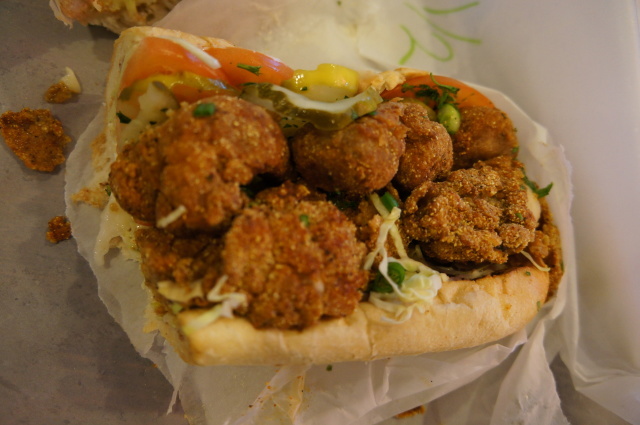 In restaurants like Mother’s, you can order a roast beef po’boy topped with debris, but even in The Big Easy we have never seen a po’boy like this. They also make and sell their own boudin, chaurice and the seriously hard-to-find tasso. The Little Jewel market stocks Louisiana staples like Blue Plate Mayonnaise, Community Coffee, and Camellia Beans. So grab an Abita Root Beer and Zapp’s chips, and head to the cashier for your debris fix. The family-owned New Orleans Cajun Cafe on a corner of Pier Avenue is an unexpected passageway to seriously authentic gumbo. There is a moment of sticker shock when you discover the price of authenticity. It’s worth it. It arrives in a bowl bigger than your head. 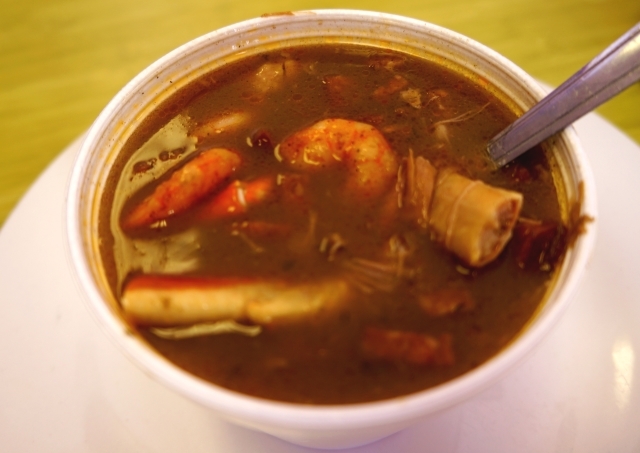 The gumbo is generous with andouille, shrimp, crab, chicken and tasso. The shrimp is gently cooked to perfection because it is added to each order as it comes in. The broth is dark, smoky, and multilayered. This is also a good place to try some creole food like ettoufee. Besides the typical fare, their menu includes baby-back ribs, steaks and tri-tip. 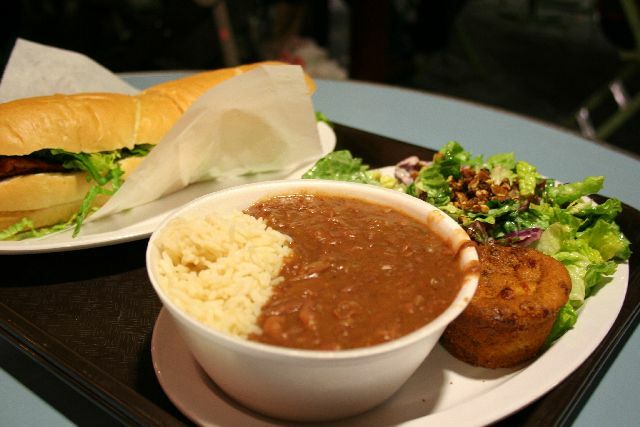 At lunch you can get po’boys made with crawfish, chaurice sausage, or the usual suspects. 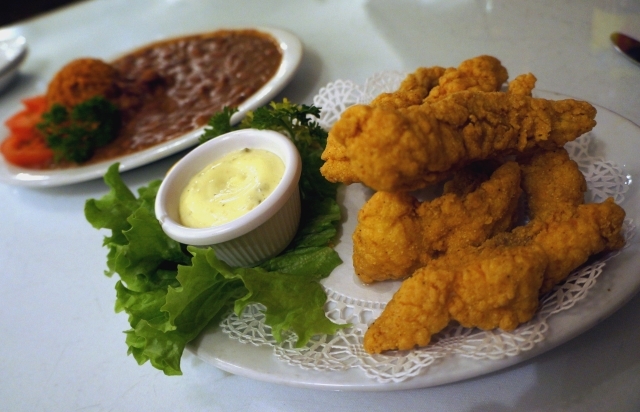 In addition, New Orleans Cajun Cafe is one of the few places in town where you can find alligator and frog’s legs. 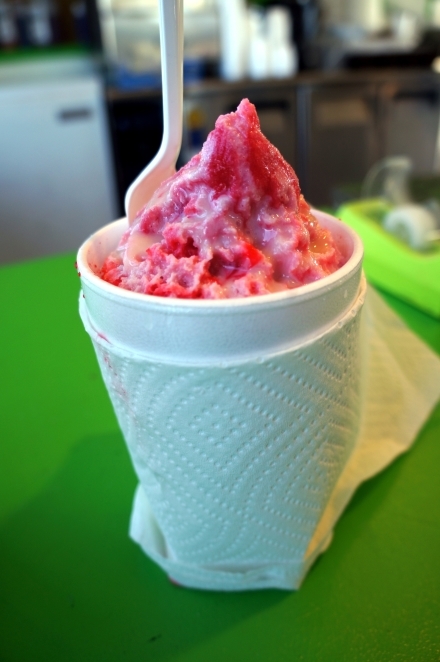 New Orleans Snowballs is conveniently located on the same corner as Orleans and York Deli. As far as I know, it is the only place to get an authentic snowball in LA. A snowball is grated ice is doused with syrup. It looks like a snow cone, but instead of hard grainy chunks, the ice is shaved into flurries as light as air. It is more like Hawaiian shaved ice. There are lots of fruit and dessert flavors. There is one flavor particular to snowballs called nectar. People are only able to describe it to me as “sweet.” The red syrup kind of reminds me of cream soda. You can also order the snowball topped with sweetened condensed milk, like they do in Louisiana. There is one other thing on the menu besides snowballs and soft-serve — gumbo. You can’t be all things to all people. But Orleans and York, as the name suggests, is making an effort to at least cover two of the most food-focused cities in America. I cannot attest to the authenticity of the New York subs, because I’m all about the po’boys. 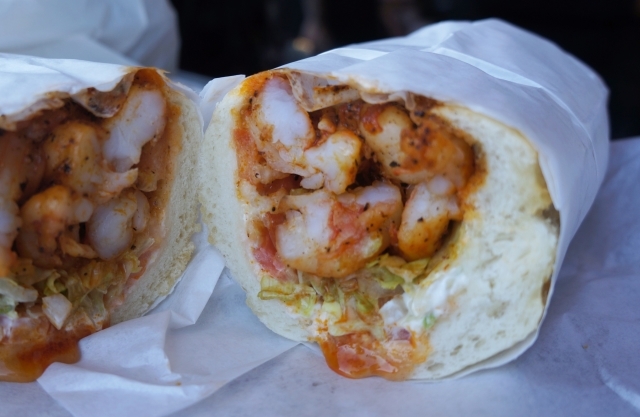 When I took my first bite of their shrimp po’boy I honestly felt like all of the other sandwiches might as well just give up and go home. You can even order additional shrimp or oysters, not that you need to. If you ask nicely, they will grill your shrimp instead of frying it, and serve it in a nice mayonnaise-hot sauce. They offer five different muffalettas and a po’boy based on gumbo ingredients. With the wall of Zapp’s Potato Chips and desserts like Banana Pudding and Red Velvet Cake, the Southern culture does seem to overshadow the New York heroes. Grab your own sides and sodas, which include the cult favorite Faygo, and order at the counter. Coming soon to Carson and DTLA. This moonshine-based downtown bar manages to capture the essence of the French Quarter without being too literal. Large windows recall the open-air bars of the Quarter while the ubiquitous Bourbon Street frozen daiquiri machines spin against the back wall. Upstairs, the “Proper” Garden District dining room serves the same menu as well as a raw bar in a more genteel atmosphere. The original cocktail menu from Pablo Moix relies on top shelf and craft spirits to recreate the classics. The drinks alone are worth a visit, but be warned, there is a reason why there are no prices on the cocktail menu. The old adage “if you have to ask, you can’t afford it” definitely rings true. Nonetheless, if you stick with Abita on tap and carefully navigate the small plates menu you can have a memorable dining experience that is practically stealing. The Crispy Frog’s Legs in a sauce piquante are flavorful and crispy with tender meat falling off of the bones. Smoked Shrimp Beignets are more like fritters than the light-as-air beignet, but they are probably weighed down because they are almost entirely comprised of shrimp. The Brisket Dip is one of the heartier dishes, a po’boy stuffed with slow-cooked beef. The sinus-clearing horseradish mustard and caramelized onions make it so flavorful you don’t even need the jus. The Muffalletta Board causes heads to turn as it is paraded through the room toward the table. Speck, salami, cheese, olives, pickled peppers and tapenade are laid out alongside buttered toast for a make-your-own muffalletta bar. You even get a little lagniappe in the form of a free frozen cocktail to end your meal. We also hear rumors of a lobster po’boy, so they have not seen the last of us yet. Rajin Cajun has been somewhat of a nomad since leaving their spot on Pier Avenue. Their popular food truck and a short stint at Suzy’s Bar left us wanting. We are pleased they have settled down and put down roots on Pacific Coast Highway in Redondo Beach, albeit under new ownership. The large space is decorated with folk art and the usual Mardi Gras beads. Their knack for perfectly fried seafood has not been lost. Their catfish and alligator bites are worth the visit alone. 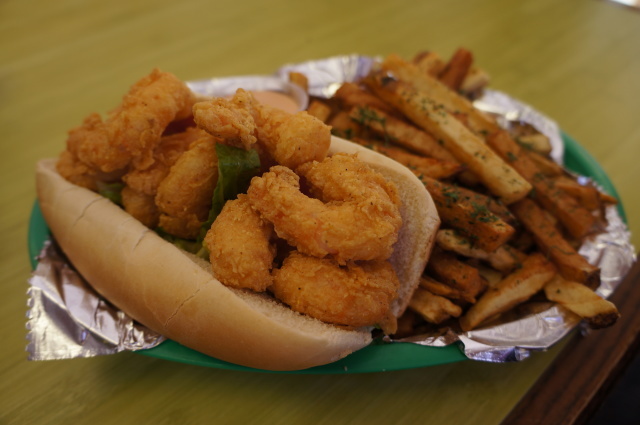 The po’boys stuffed with fried seafood never disappoint. 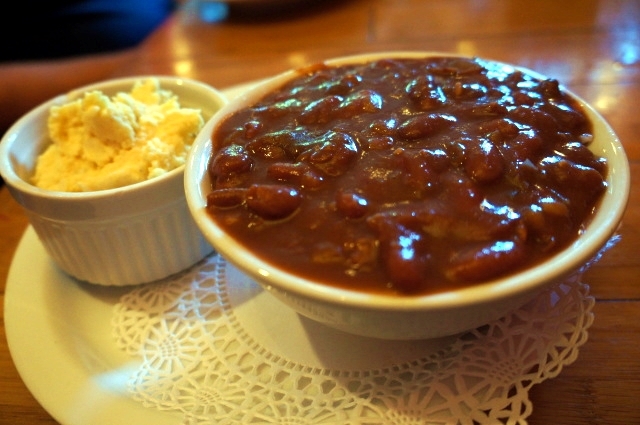 The red beans and rice are noteworthy, as is the “gumbolaya.” They also serve salads, pastas, homemade potato chips and a vegan gumbo. This little corner diner on Long Beach Boulevard is owned by Sally Lewis and staffed by friends and family. They serve one of the best shrimp po’boys in town and a dark, rich gumbo with sausage and crab legs. Not only do they have the spicy, buttery BBQ shrimp like Pascal’s Manale in the Garden District, they even serve Acme’s Boo Fries. The skin-on fries are covered with cheese, gravy and roast beef debris. The only question is, why isn’t everyone making Boo Fries? Wednesdays and Sundays are Soul Food Days with additional entrees like fried chicken, turkey necks and oxtails. This entry was posted in Cocktails, Beer & Wine, Food and tagged Best Cajun in LA, best creole in LA, best New Orleans restaurants in LA, catfish, shrimp po'boy. Bookmark the permalink. I love Mother’s po-boys so I will be checking out “Little Jewel of New Orleans”!!!! Your writing was always great, but has now evolved in to pure art form. It makes me want to stop at each of these restaurants TODAY!!! I used to LOVE Rajun Cajun in HB! I’m glad they’re still around.